Burgundy comes alive at Harvest time. 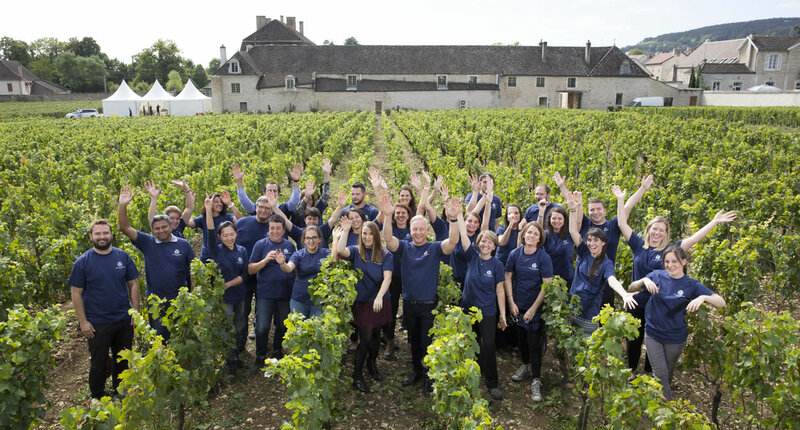 The Harvest (Vendanges) Experience is a truly special way to be immersed in the world of Burgundy viticulture and winemaking. If you wish to observe and participate in a vineyard at its busiest and best, this experience is definitely for you. Our Harvest Experience offers the opportunity to taste a variety of wines that are evolving through the maceration, vinification and aging process directly from the fermentation vats and oak barrels in the Cuverie. During your day among the vines, you will experience all the great traditions of the Harvest, including tasting delicious Burgundy delicacies accompanied by fine wines from more than 20 Burgundy appellations, all while savoring one of the best views in the world – Clos Marey-Monge.